Hussain Ali (Chicago) - Book Appointment Online! 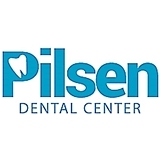 Pilsen Dental Center is focused on providing high-quality dental care and patient satisfaction - we will do everything we can to meet your expectations. With a variety of services to choose from, we're sure you'll be happy working with us. Dr. Ali has been a long-term resident of Chicago and is very familiar with the Pilsen area. The friendly staff will provide you and your family with the professional care and personal attention you deserve. Dr. Ali is very professional and always acknowledge patients concern before doing any procedure. He is expert in his field. His respect for patient rights and flexibility to accommodate patients for some immediate treatment makes him an excellent health care provider.